AJS Publications was started over 50 years ago. The current materials were written and developed by a former social studies teacher, Alex Schmidt. Long ago, he noticed the lack of quality educational materials on the constitution and government. What was available tended to be very complicated, very lengthy, and costly. So, he developed this streamlined, easy-to-read and understand worktext called Our Federal and State Constitutions. This worktext was originally written for the state of Illinois and then expanded for other states. 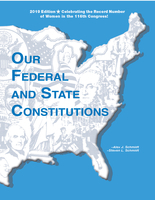 We are now a leading provider of constitution materials to states across the country. Used in over 4,000 schools across the country, our materials help educators teach the required curriculum in citizenship, constitution, and government. 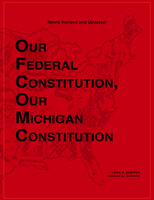 These materials are constantly updated to include the latest constitutional events, government officials, and relevant topics. 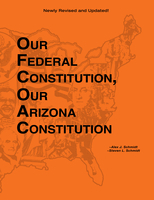 The goal of our company is to provide a concise, easy-to-read, low cost educational materials on the constitution and government. Our materials are written to accommodate students of varying abilities and in schools ranging from elementary schools to high schools to junior colleges and adult education. 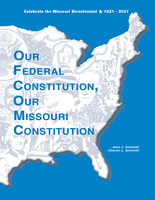 All versions of the worktext are written and edited by educators and are aligned with most state standards on constitution curriculum. Our marketing plan is simple, word-of-mouth from teachers using our materials with a little help from direct mail and this website. Our catalog is basically a free examination of our worktext. Do you have any comments or suggestions regarding our materials? Are there other topics we should cover? Are there other materials that you would like us to offer? How is the layout and design of the current worktext? We are always interested in feedback from teaching professionals.